Coffee came to Mexico in 1790. Now Chiapas, Veracruz, Oaxaca and Puebla are the most important coffee-producing states. 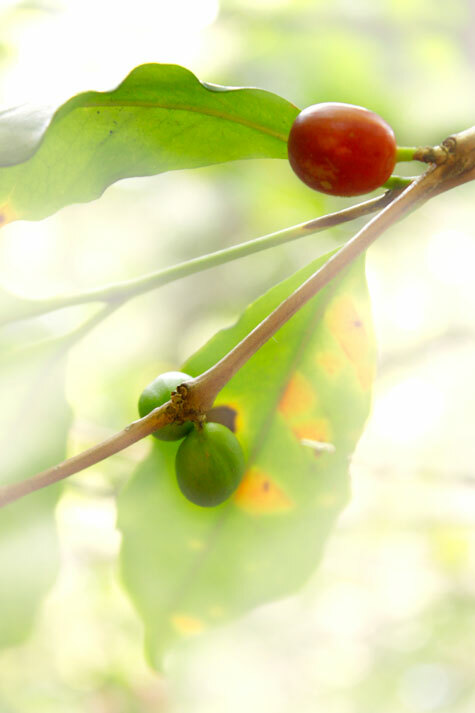 Coffee itself is a tropical product that grows in mountanous regions. About 60% of the small coffee-producers in Mexico are indigenious. Mexico produces an average of four millions sacks of green coffee. With this yearly harvest we rank sixth in the world. 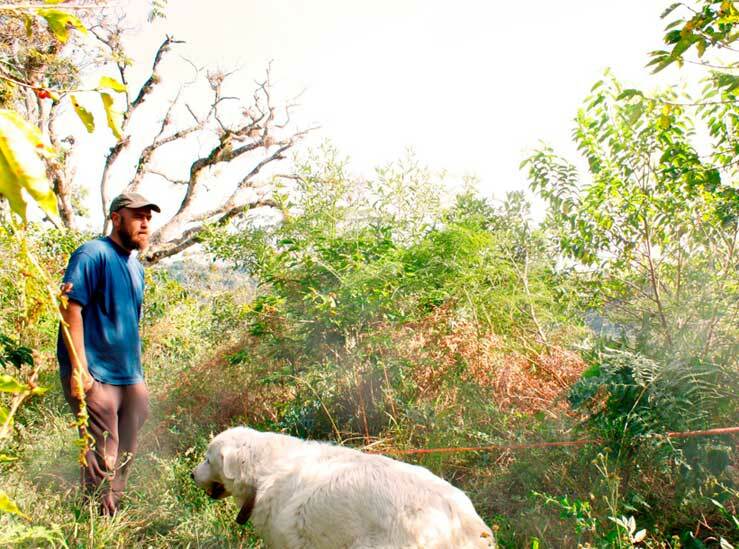 There are more than four houndred thousand production units, and 90% of them are very small with plantation fields of less than 5 hectares(12.5 acre). One third of the producers are women. Coffee forms the economical basis for 3.2 millions of people. A fine cup of coffee stands out by its ‘body’, aroma, acidity and taste. Mexican coffee ranks amongst the highest quality brands. 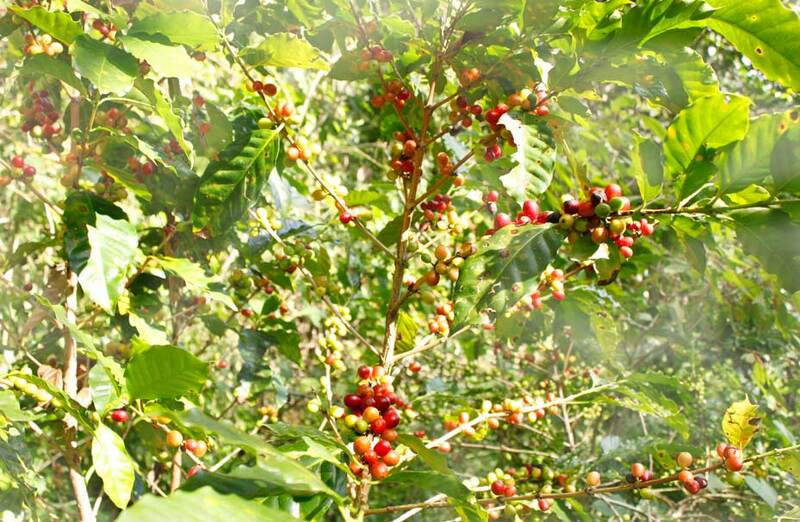 Coffee that is cultivated on the higher plains, 900 or more meters above sea-level, is highest in demand. Our own small coffee-ranch, ‘EL Cascabel Encantado’, is situated in the State of Veracruz, in the mountains round Coatepec. We grow the Arabica-variety. We strongly believe that it is utterly important to grow coffee in the organic way: organic growth enhances the quality of the crop, it preserves the natural life cycle of the earth in witch it grows and it assures the possibility to grow other products besides coffee. 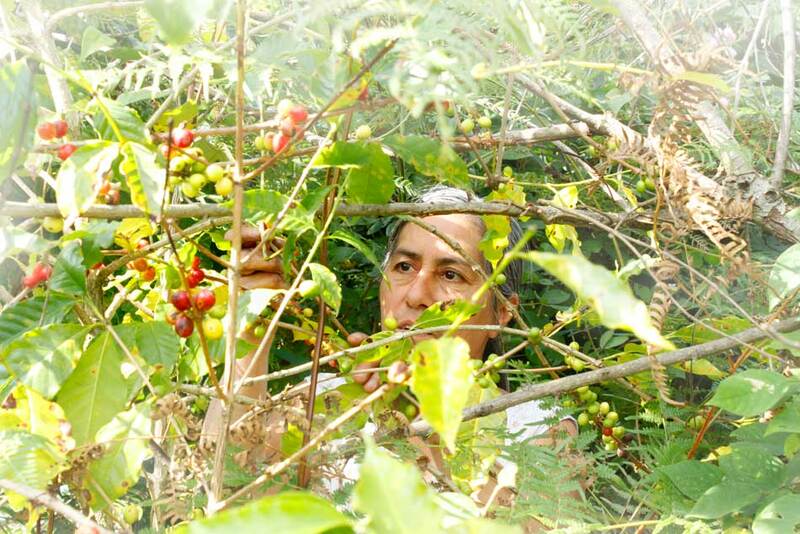 We are part of the group of small coffee-producing entities, each owing less that 12.5 acres. Therefore our production remains modest, and we commercialize it on a small-scale, in our shop in Cholula, Puebla. It goes without saying that by buying our coffee, you also help some families of Texin who colaborate in the process of producing our coffee. We sincerely hope you will like our coffee. Should you have the time and feel the urge to make a small adventerous excursion, then we can always take you on a visit to our Finca.